I didn’t realise it had been so long since I last posted here. I’ve been meaning to but I haven’t made much new stuff lately. This weekend I went to the Hillsong Colour Conference in Sydney with my sister and friends. We had a great time and I learnt a lot from the word of God with inspring speakers Beth Moore and Priscilla Shirer. I made all the girls a journal so that they could take notes during the sessions. 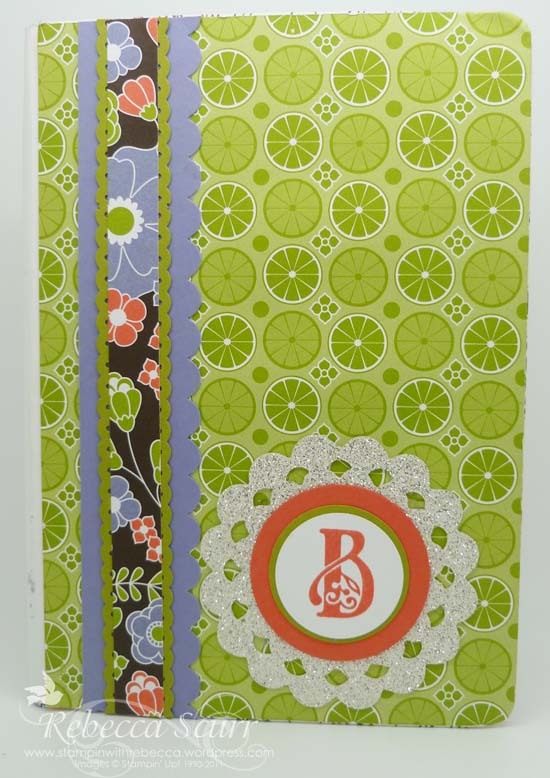 I used a journal from a $2 shop and covered them with the Berry Blossoms DSP. 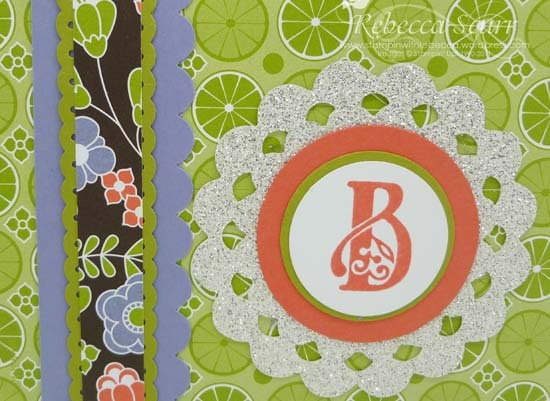 I love the glimmer paper and the Perfect Pennants die, so I had to combine the two!! Here’s a close up of the lower portion. « 27 February 2012 – New Punch! !